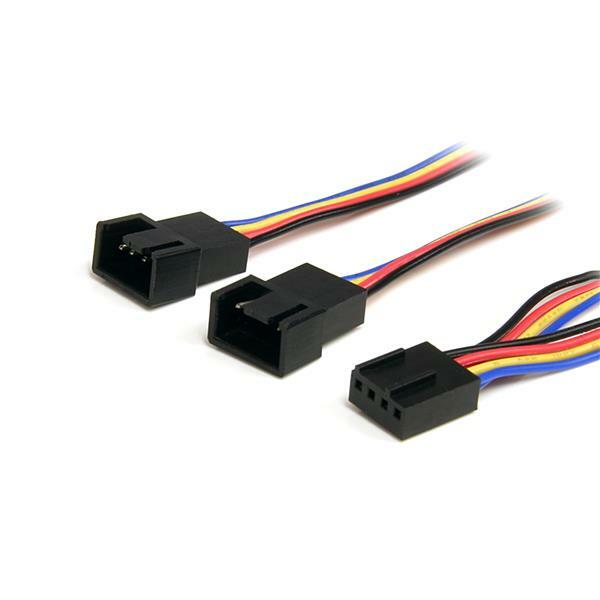 The FAN4SPLIT12 Fan Power Splitter Cable enables you to connect two 4-pin (PWM) fans to a single motherboard power connector, which allows you to optimize your computer cooling capability. 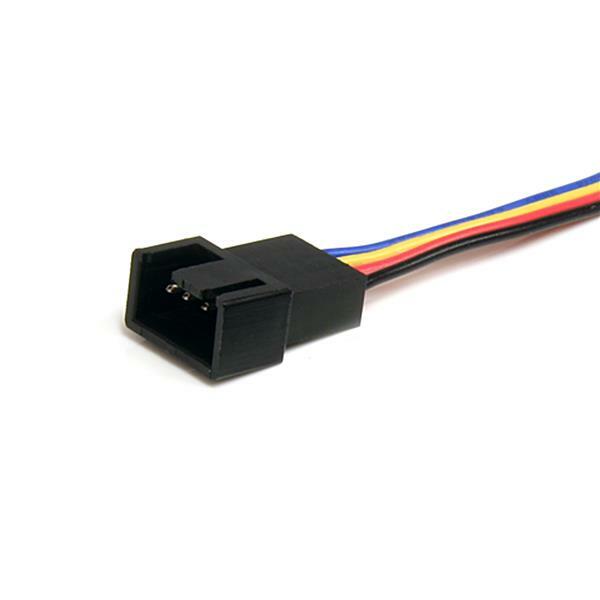 Providing a flexible way to position computer case fans as needed, this 4-pin Fan Power Splitter cable offers a connection length of 1ft, eliminating the need to strain the connection between the computer power connector and the fans. This high quality splitter cable is constructed of high quality materials to ensure long-lasting performance, and is backed by StarTech.com's Lifetime Warranty. 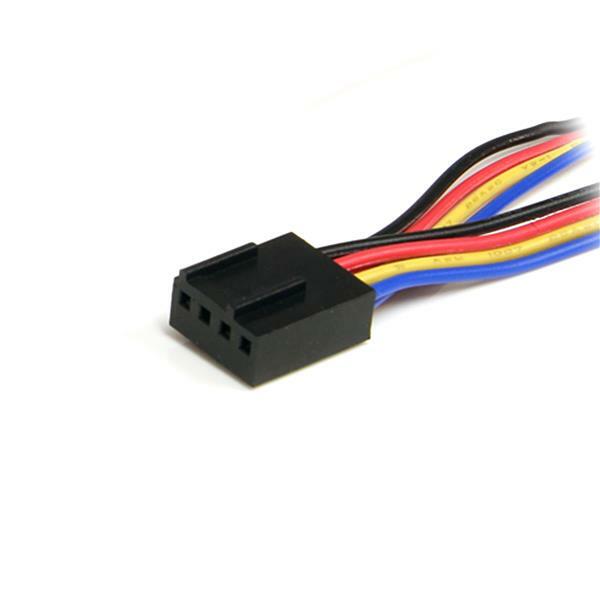 Easily split a single motherboard fan power connector into two 4-pin (PWM) fan connectors - An inexpensive way to add more fan power connectors in a computer system. (5 stars) Good product, build quality is good! I ordered many of those over the past few years probably around 30 only got 1 bad and Startech RMA service was fast. Motherboards need more fan headers hehe!